We recently had the pleasure of updating this black Nissan Titan with a brand new LEER 100XQ fiberglass topper and Stainless Steel Nerf bars. It’s amazing what a little lovin’ will do for your older model truck. Adding some functional style here and a little bling there makes your ride like new again. LEER has a history of re-writing the rules when it comes to truck cap and tonneau styling. 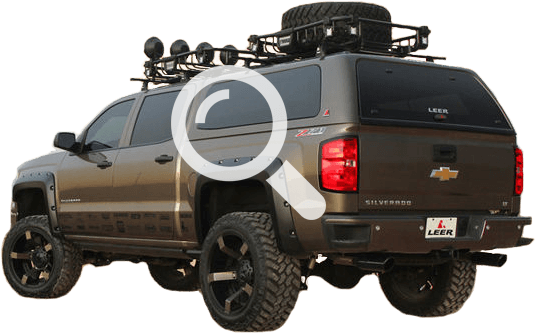 Our top-of-the-line 100XQ cap has dramatic design cues taken from key styling lines on your truck so they are made to match. Throughout the product line, LEER designers and engineers look for ways to add distinctive enhancements to your vehicle. That’s why before you even see the name on the rear door, you’ll know it’s a LEER. 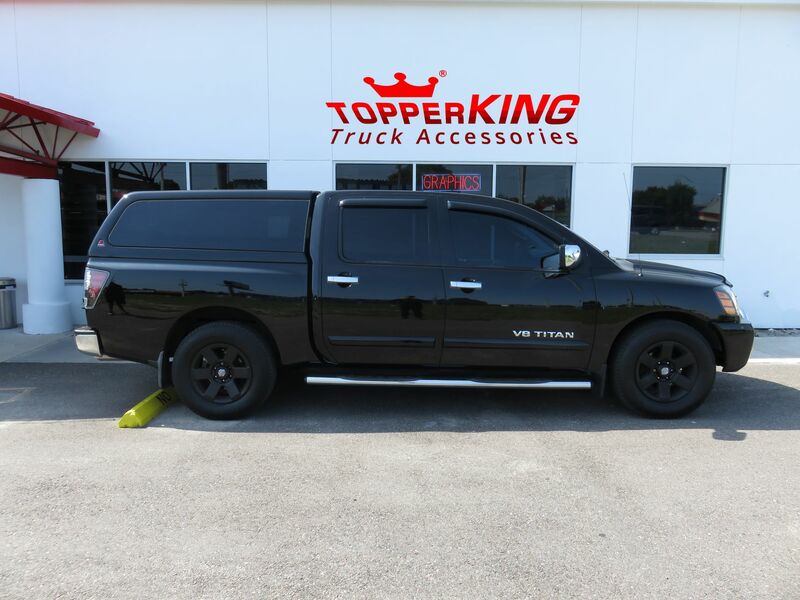 In addition to the Stainless Steel Nerf bars we installed on this truck, TopperKING carries a large variety of sidestep and running board choices to fit your unique personal style. A custom hitch complete with a hitch cover to personalize your truck. Vent Visors to keep your cab cool and the rain out during our hot Florida summers. If chrome is your style, we’ve got even more accessories for you to consider. Whether it is for work or play TopperKING has you covered. We stock and install a complete line of toppers, lids and tonneaus, as well as all makes and models of foldable and retractable bed covers. With our huge inventory we’ll have you working smarter and playing harder than ever before. TopperKING is truly a one stop truck shop. Call now to see how we can add a little love to your ride. Or better yet, come on by today and check out our showrooms in Brandon and Clearwater.